Norma Merrick was born in Harlem, New York, to Trinidadian parents; her father was a doctor and her mother a seamstress. She received her architecture degree in 1950 from Columbia University School of Architecture, one of only two women in her graduating class. Merrick was one of the first black women to be licensed as an architect in the United States, and the first to be licensed in the states of New York (1954) and California (1962). After receiving her degree, Merrick was unable at first to find work at an architecture firm, so she took a job at the New York Department of Public Works. In 1960, she moved to California and went on to work for Gruen and Associates in Los Angeles, where she remained for two decades and in 1966 became the firm’s first African-American director of architecture. In 1967, Merrick married Rolf Sklarek, a Gruen architect, thereafter using Norma Merrick Sklarek as her professional name. She had two sons. In 1980, Sklarek moved over to Welton Becket Associates, where she worked on Terminal One at the Los Angeles International Airport. 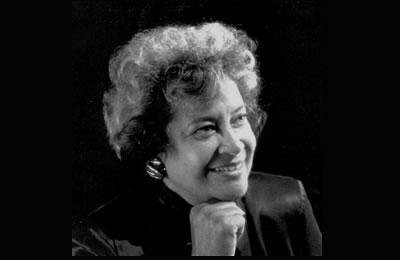 Sklarek became the first black woman to be elected a fellow of the American Institute of Architects (AIA), in 1980. In 1985, she became the first African-American female architect to form her own architectural firm: Siegel-Sklarek-Diamond, which was the largest woman-owned and mostly woman-staffed architectural firm in the United States. Among Sklarek’s designs are the San Bernardino City Hall in San Bernardino, California, the Fox Plaza in San Francisco, and the Embassy of the United States in Tokyo, Japan. In her honor, Howard University offers the Norma Merrick Sklarek Architectural Scholarship Award. Cornelia “Corrie” ten Boom (15 April 1892 – 15 April 1983) was a Dutch Christian who, along with her father and other family members, helped many Jews escape the Nazi Holocaust during World War II. She was imprisoned for her actions. Her most famous book, The Hiding Place, describes the ordeal. Corrie ten Boom was released on December 28, 1944. The Jews whom the Ten Booms had been hiding at the time of their arrests remained undiscovered and all but one, an old woman named Mary, survived. After the war, Ten Boom returned to The Netherlands to set up a rehabilitation center. The refugee houses consisted of concentration-camp survivors and sheltered the jobless Dutch who previously collaborated with Germans during the occupation. She returned to Germany in 1946, and traveled the world as a public speaker, appearing in more than 60 countries. In 1977, 85-year-old Corrie immigrated to Placentia, California. In 1978, she suffered two strokes, the first rendering her unable to speak, and the second resulting in paralysis. She died on her 91st birthday, 15 April 1983, after a third stroke.